There is nothing more disappointing than settling down to watch a favorite show and discover your TV is not working. That black screen on your Vizio E601i-A3 LED TV may be caused by a faulty T-Con board. 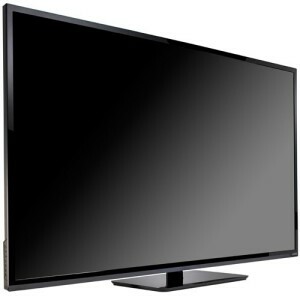 Some of the VIZIO’s E601i-A3 LED TVs are experiencing blackouts after being turned on. The problem is a 8 pin eprom chip failure on the lower right side of the RUNTK5261TPZC timing control board (T-Con) that interrupts the video signal to the Main board. This T-Con board failure is happening at 500 hours of usage and according to VIZIO affects those E601i-A3 TVs with serial numbers in the ranges of LFTRNWAN3800001 to LFTRNWAN4805300. If your VIZIO E601i-A3 is older than a year, your warranty will not cover the replacement costs for a new T-Con board. Fortunately the replacement RUNTK5261TPZC T-Con board is available for sale online for under $150. Turn the VIZIO’s E601i-A3 television off. Unplug the power cord. Lay the VIZIO’s E601i-A3 TV on a flat, padded surface. The RUNTK5261TPZC T-Con board is located in the middle top of the back panel, usually under an aluminum cover held in place by four corner screws. It may also be held in place with foil tape at the top. It’s connected to the Main board through a black LVDS cable and flat ribbon cables. Loosen the screws holding the RUNTK5261TPZC T-Con board in place. Place it to one side. This board is considered e-waste and should be sent to a recycling facility. Do not place into regular garbage. NOTE: Be sure to put on your rubber gloves before touching the new T-Con board. Hold the RUNTK5261TPZC T-Con board by the edge and avoid touching any of the components since they are very sensitive to electrostatic charges. Place the back cover back onto the VIZIO’s E601i-A3 TV and tighten all the screws. Re-install the stand and post. Remount the VIZIO’s E601i-A3 TV. LFTRNWDQ0203269. Vizio doesn’t care and their customer service basically says call a repair person to get it fixed. That’s the last Vizio product we purchase. let me run this by our experts over at the forum and see what they have to say about replacing that T-Com board. We will get back to you shortly. I have the same problem and received the same answer from Vizio,”too bad.” I couldn’t be more disappointed in this company and their customer service. I’ll never buy another Vizio and have actually gone out of my way to tell others the same. Vizio E601i-A3 LED has a green line through screen. Check out the discussion boards there for more help. re vizio e601i-a3, would like to replace the 8 pin eprom on tcon board you idenified. can you forwad specific info on it. thankyou, Kevin. I’ve asked one of our forum experts to contact you and get you the right leads for the Tcon board you need. I have a E601i-A3 that went black screen on me. Sound was still working. I replaced the RUNTK5261TPZC T-Con board, no luck, still a black screen. Did I miss something? Also I found the T-con board to be located on the bottom middle backside of the TV (instead of top middle). This is too complicated a problem for me to comment on. I suggest heading over to our forum: http://www.fixyourdlp.com/forum/ I’ll send this message to one of our experts there and see if he can help. I have the same problem, did you ever get yours fixed? Do you still have your tv Ron? I replaced the t con board with one I bought from shopjimmy and I still get no picture. Screen lights up but no picture. Did you check the lamp and reset the lamp timer. You usually have to replace the lamp after changing the t-con board. I’m not an expert so I would recommend heading over to our forum where there are more experts to help. They can help you solve this problem. Do you still have that tv? Wish the removal of the back panel were as easy as you state. You obviously haven’t removed the Vizio E601i-A3 back panel. After all screws are removed you still have interlocks on both sides to deal with. We will update our manual. Some of the new models do those side interlocks. Thanks for pointing out that omission. So how do i get the side interlocks loose? I was getting very dim picture so I replaced all three boards inside but now the picture is worse it has lines in it now..im thinking it’s the led lights themselves.?? Anyone have any input? If you were getting white vertical lines then the main board needs to be replaced. Sounds like you have done this. Did you check the 5-6 ribbon connectors so they were properly cleaned and connected? If may also be the T-Con that needs to be replaced. That is a different element from the main board. Is the TV still under warranty? Contact your distributor and see if they can help. This is very similiar to the Samsung and Mitsubishi problem. The only thing that got the companies moving was customers calling up and refusing to back down until the situation was handled. Sometimes they paid only for the replacement T-CON and he company did the repairs for free. Others were more successful in having the entire repaired covered by the company. Vizio has a made track record for repairs. Except them to resist but if you keep pressuring them they will respond. Good luck Let me mw know how it turns out.